Those blooming health kicks, from fad diets to diet pills the industry is booming with so-called health kicks. 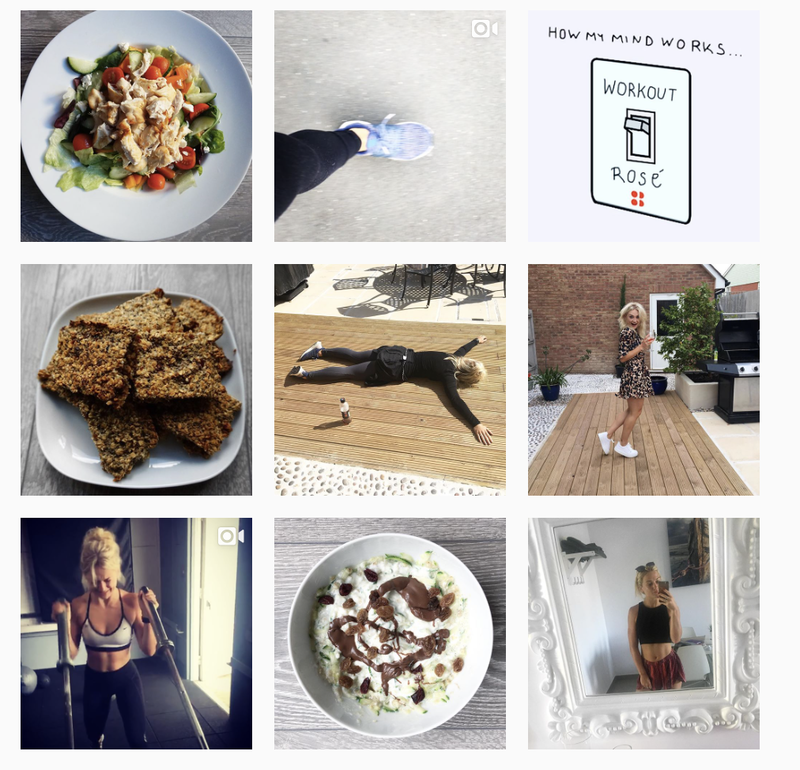 It’s scary that as a fitness and health blogger for sometime to look back at even times that I was blogging and sharing my journey that actually what I was doing to improve my health was actually hindering. Here I’ll share you 6 times my health kick was bad for my health… and I had no idea. This is one of the most common I see in clients, especially serial dieters. A lot of us don’t actually eat what our bodies need and that can be so scary. Starting a few years a go and only ending last winter I was a huge under eater, I worked out recently that in those times I was eating roughly 1000 cals a day but binged at weekend. I binged because by the weekend came I had deprived myself so much that I craved sugar and carbs and when giving myself a little bit simply couldn’t stop. My sleep was horrendous as was my mood and was there any fat loss or muscle toning? Absolutely not… just a fluffy, bloated pouch on a somewhat skinny body. Unfortunately while I was under eating also came over training. I was a huge fan of HIIT and although I still am when it comes to fitness levels and fat loss, I did this 6-7 days a week and completely exhausted myself. You see, HIIT puts your body in a stressed state and can be really harsh on the body especially if you’re doing lots of impact stuff e.g burpees and jump lunges, which I was. I was running on adrenaline, yet carried on with the mindset of the more you do the better you are. Now I train 5x a week, might fit in HIIT 1x a week but mostly get my cardio from walking. Jeez Louise, this was the worst one I have to say. I lived on a more or less protein diet… eggs, chicken with a tiny salad and repeat. I may have a tiny handful of raisins before gym but other than that carbs were a no go. The unfortunate thing is it’s destroyed my gut and my gut still pays the price now. I have a really sensitive gut from all the damage I caused it from my no-carb days. I would bloat every few weeks and was constantly constipated… it got to the stage that if I managed to go to the loo, I would tell everyone because it was so rare. I know TMI I’m sorry. Now, I have a variety of carbs in my diet from oats and rice to sweet potato and berries. I have actually found not only do I have more energy but it’s given me a lot more shape to my waist and my muscles. I still monitor my carbs as my body strives off fats and protein but I would never ever cut them out again. I always ensure I have high fibre foods like chia seeds too… you can find the recipe for my chia seed pudding on my youtube! A bad 15 year old that listened to whatever the internet told her. This I remember was a bad time. I spent my time looking at myself in the mirror grabbing my unwanted fat, I would cry in the bath and be unhappy in myself … but was also completely uneducated. I had no idea why I was fat (I wasn’t actually that fat), why I had fat, how I had fat and wtf I could do about it. I heard that laxatives helped lose weight, so I popped to boots and brought shop brought constipation relief tablets… I think I got up to taking 6 a day at one point. It was so uncomfortable, embarrassing and surprisingly didn’t work… FYI, this much have also played a part in my sensitive gut. Probably a most recent one. I started tracking my food to ensure I ate enough and I brought a Fitbit. I love love love both. I love knowing what’s in my food and ensuring I have enough calories and macros through out the day. From my under eating days it’s still very natural for me to under eat unintentionally, not a chance would I eat the amount I do unless I saw I had too! However, the flip side is that it can become obsessive, I went through a tough time of having to eat below my calories.. weird I know and also had to hit over my goal on my Fitbit. Both things can be amazing if you’re in control of it, if you feel like you’re obsessing then I recommend coming off them for a few days. I only track mon-fri when I’m working and need the calories now and then weekends I sign out of My Fitness and chill… I want to fuel my body not obsess over it. A funny one as you’d think it won’t directly damage health but I found myself following people who made me question my own body, what I did, how I looked and what I did. I found myself copying people that A) had completely different bodies to me B) completely different lives C) completely different goals… Social media can often make you question yourself. So question yourself before social media does… question everyone you follow, how does each time they upload a picture make you feel? If it’s negative… give them an unfollow. I wrote these not only because I’ve learnt a lot from all 6 and wanted to share them with you but I want to try to prevent these situations happening to you too. Not bored of me yet? Come say hey!